Posted by Kelly on Jun 24, 2018. Bless you, Brenda for rescuing sweet Fay! It warms my heart knowing that you have gone above and beyond to help her adjust to a life of love and security. There is a special place in heaven for people like you! Also, a special thanks to Spokane Sheltie Rescue for bringing you both together! Thank you! P.S. Our Sheltie boy is a bi-black! We love him – he was a rescue and he’s almost 10. I have seen such an improvement in Fay and love her so! Oh, the sweetheart! We just lost our Sheltie baby in March and have been wanting to rescue one. I haven’t been able to find Spokane Sheltie Rescue. We live in Spokane. Would love to rescue one.
. 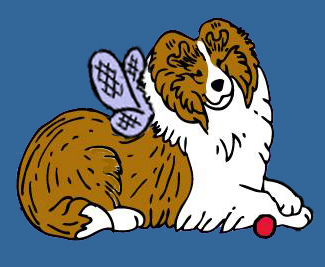 If you go to our website (GSSSC.org) and fill out an application, for when a sheltie becomes available. This is a lady that helped me. Linda Barenz [email protected]. Contact her and see if she can help. I just purchased a puppy that is bi-blue and her & Fay are having a great time. Good luck and hope this helps and so sorry for your loss. I have been in contact with Sommer with chasemeshelties in bonners ferry idaho. She has a 2 year old girl looking to rehome from Bellevue Wa. She actually needs someone to pick up if they can give a good home. The owners had used a shock collar on her and created a dog scarred of noise and being stressed out . My e-mail is [email protected] if you are interested. I have a puppy from Sommer. It breaks my heart that someone would hurt Skye’s “kin”. ?. If the pup needs to be picked up to be fostered- I am on my way. Have lots of love. Not lots of room. Julie LaPoint I wanted to ask you if you would be interested in adopting a sable & white 2 yr old female. Older couple cant keep her due to her barking. They purchased an electric shock collar and used it on her and now she is frightened when she hears noises and is afraid. I am picking her up in Ellensburg Wa this coming Saturday. I may have a friend that will take her and of course, she can go back to the breeder but if you are interested in working with a sheltie she is a rescue sheltie now needing a home that can deal with her compassionately. . Such a dear, sweet, beautiful thing! I am always so glad when shelties are rescued. She is so lucky to be with you now! Awww, we rescued a mistreated Sheltie also (Robbie) about 10 years ago and although still a bit shy, we found his littermate sister (Daisy) 3 years later and the two of them light up our lives. They send greetings to Fay. So beautiful! I love the bi blacks, I have a bi black girl myself. Great picture of her. I wish you many happy times with her. thank you..I got a bi-blue puppy that has made Fay’s life so exciting.